The John Gosden-trained colt proved himself the best two-year-old in Europe since Frankel shared top honours with Dream Ahead in 2010. 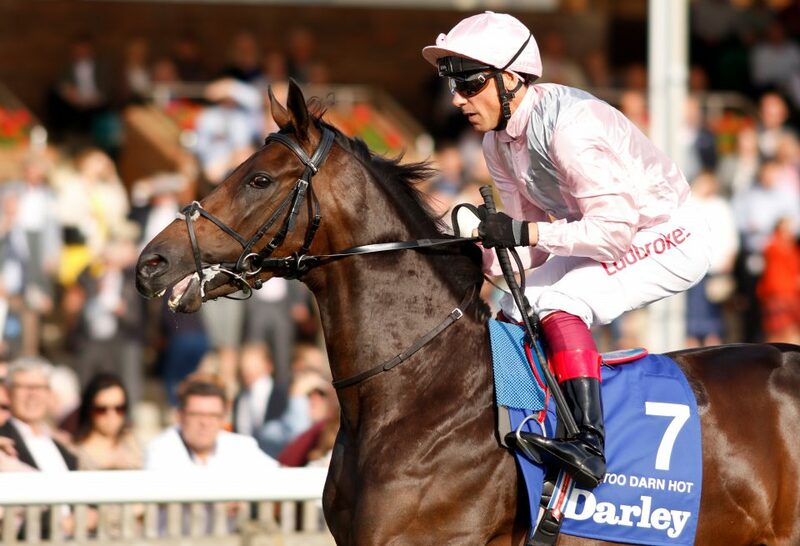 Too Darn Hot was today announced the European Champion Two-Year-Old of 2018. The John Gosden-trained colt, expected to be a leading light in this year’s QIPCO British Champions Series, was awarded a rating of 126 as the European Two-Year-Old Classifications were announced. Frankel went on to win nine Champions Series races in his glittering career, while Dream Ahead was a superb winner of the Darley July Cup and also landed the Sprint Cup. Last year was strong at the top of the two-year-old tree with no fewer than six horses rated at 118 or above. Those ratings came from strung-out finishes to the best three races; the Darley Dewhurst Stakes, Goffs Vincent O’Brien National Stakes and the Juddmonte Middle Park Stakes. The BHA’s Lead two-year-old Handicapper Graeme Smith said: “Too Darn Hot confirmed himself an outstanding juvenile in the Dewhurst where he put some strong form lines firmly in the shade. Too Darn Hot is the general 6-4 favourite for the QIPCO 2000 Guineas at Newmarket on May 4 – the first race in this year’s Champions Series. John Gosden has enjoyed huge success with three-year-olds and upwards in recent years but Too Darn Hot is just his second champion juvenile, following on from Oasis Dream in 2002. This year Gosden has two juveniles in the top 10, with his Coventry-winner Calyx achieving a rating as high as 115 despite having his season limited to just two races within 11 days in June. The leading juvenile filly of 2018 was also housed in Newmarket in the shape of Pretty Pollyanna.